Red white & blue. Tir-a-mis-u. That’s what my kids are repeating as they chase each other around my kitchen island while I try to take a picture of this dish. “See, it RHYMES,” they squeal with delight. I might duct tape them to a chair if they don’t simmer down soon. 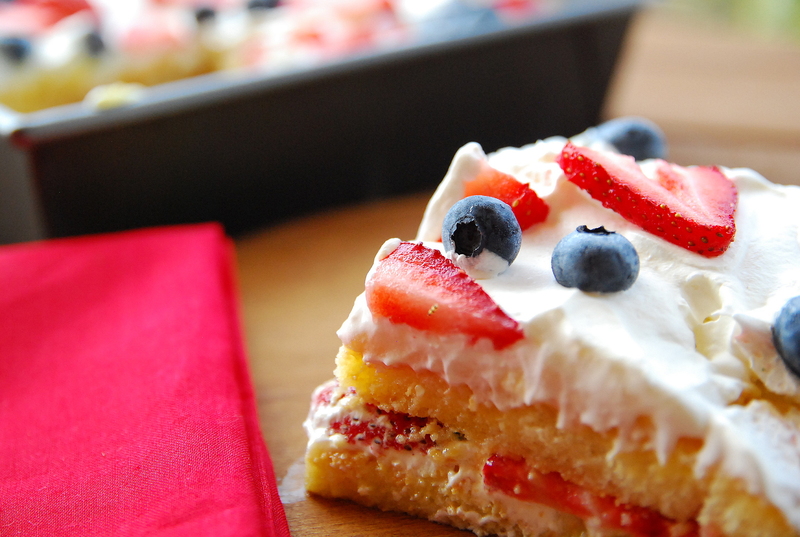 Anyhoo, this dessert is perfect for your Fourth of July celebration. It’s pretty to look at, but even yummier to eat. A true tiramisu uses coffee or espresso in it, and both would be delicious in this, but I was looking for something light and fruity for this dish. So I lightly dipped each lady finger in orange juice. I’m so glad I did. This is a lighter, fresher tiramisu than the old standby. 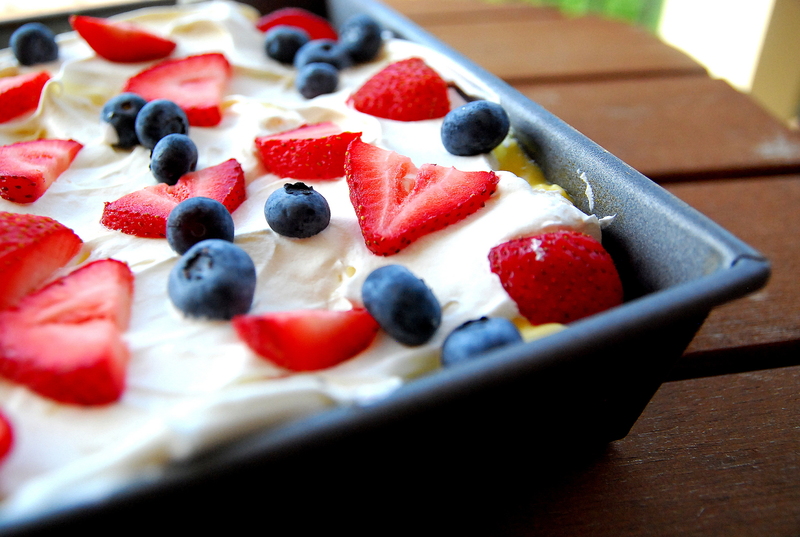 You could absolutely sub real whipped cream for the Cool-Whip here (and normally I’d recommend it), but Fourth of July is one of those holidays where food sits out for a long while and real whipped cream doesn’t hold up well over longer periods of time. But do what you like! Beat cream cheese in large bowl with mixer until creamy. Gradually add milk, beating until well blended. Add dry pudding mixes; beat on low speed 1 minute or until well blended. Quickly dip each ladyfinger in orange juice. Cover bottom of 13x9-inch pan with half the ladyfingers; top with layers of half each of the pudding mixture, Cool Whip and half of berries. Repeat all layers.